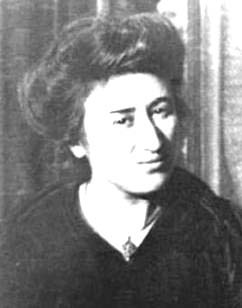 March 10, 2018 — Links International Journal of Socialist Renewal reposted from John Riddell's Marxist essays and commentary — This article re-examines Rosa Luxemburg’s approach to the party question by analysing the overlooked experience of her political intervention and organisation in Poland. In particular, I challenge the myth that Rosa Luxemburg advocated a ‘party of the whole class’, ‘spontaneism’ or consistent party democracy. The perspectives and practices of her party – the Social Democracy of the Kingdom of Poland and Lithuania (SDKPiL) – demonstrate that there were no steady strategic differences between Luxemburg and V.I. Lenin on the role of a revolutionary party. 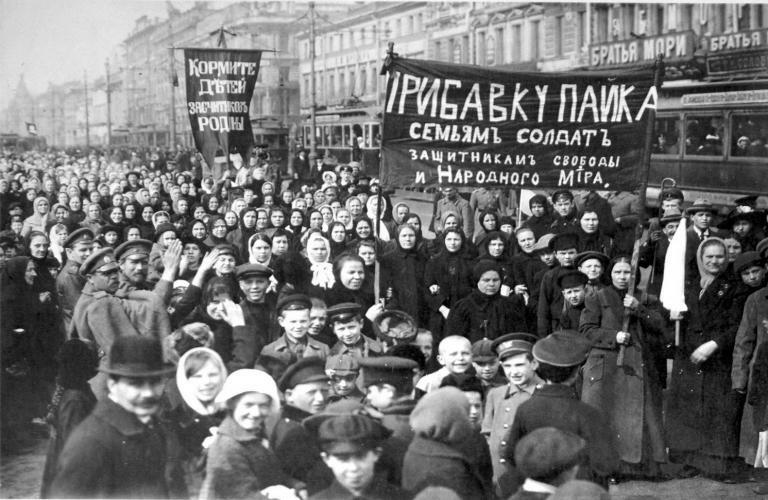 In practice, the most consequential divergence between their parties was that the Bolsheviks, unlike the SDKPiL, became more effective in mass workers’ struggles during and following the 1905 revolution. 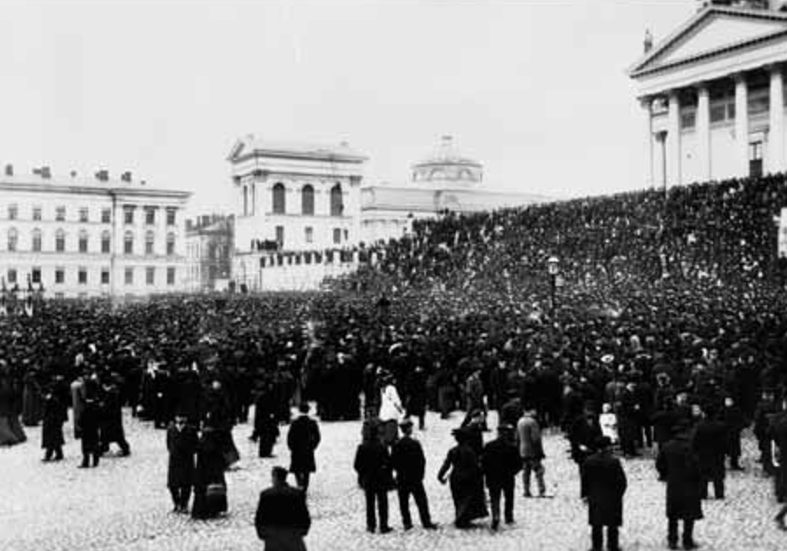 Crowds during the general strike in Helsinki, Finland, 1905. June 4, 2017 — Links International Journal of Socialist Renewal reposted from Jacobin with the author's permission — In the past century, histories of the 1917 revolution have usually focused on Petrograd and Russian socialists. But the Russian empire was predominantly made up of non-Russians — and the upheavals in the imperial periphery were often just as explosive as in the center. March 31, 2017 — Links International Journal of Socialist Renewal reposted from Historical Materialism — In the hundred years since the overthrow of Tsarism, there has been a near consensus among socialists and scholars that Bolshevism underwent a strategic rupture in early 1917. According to this account, the Bolsheviks supported the liberal Provisional Government until Vladimir Lenin returned to Russia in April and veered the party in a radical new direction by calling for socialist revolution and soviet power. 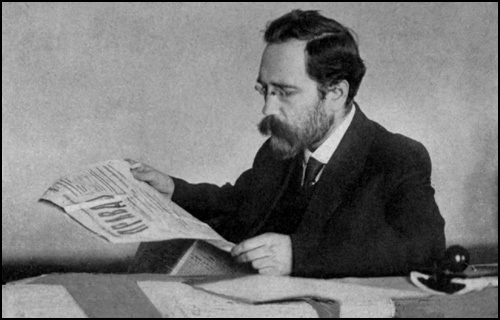 Through a re-examination of Bolshevik politics in March 1917, the following article demonstrates that the prevailing story is historically inaccurate and has distorted our understanding of how and why the Bolsheviks eventually came to lead the Russian Revolution. March 1, 2017 — Links International Journal of Socialist Renewal reposted from Historical Materialism — Assessing Bolshevik policy before Lenin’s return to Russia in April 1917 has long been one of the most heated historiographic controversies in the socialist movement.